Air Max Day is approaching and Nike’s Air Max 97 has another color combination it dropped. 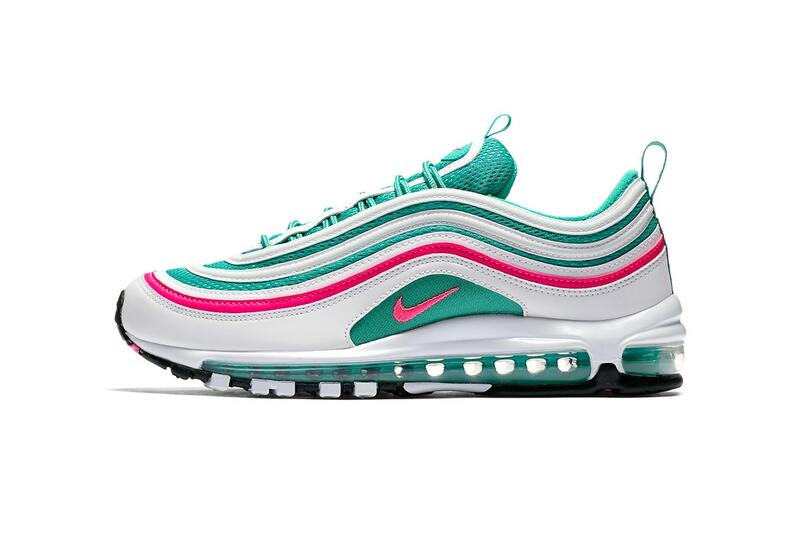 This time around the sneaker’s upper has a “Pink Blast,” “Kenetic Green” and white throughout its striped upper. Black is added to the rubber outsole while the small Swoosh branding on the lateral and medial sides is done in the aforementioned shade of pink. Dope or Trash?